Make plans now! 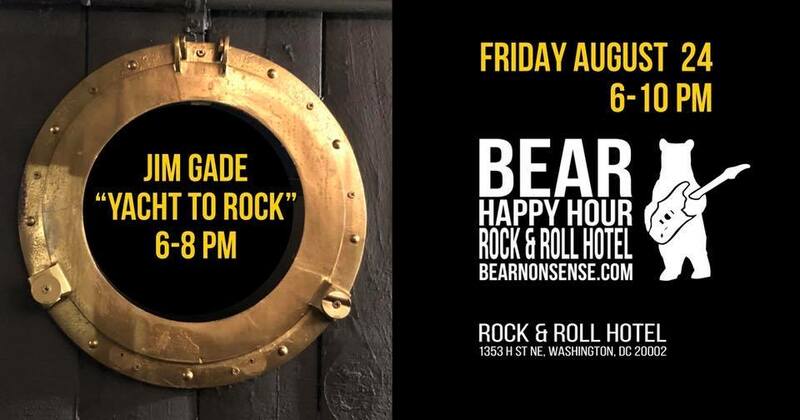 Take advantage of the “simply spectacular weather” at Bear Happy Hour at Rock & Roll Hotel this Fri, Aug 24. Jim Gade mixes the smooth and sultry sounds of Yacht Rock with the best Rock & Roll from 6-8 pm. BHH 6 til 10. Don’t miss this!